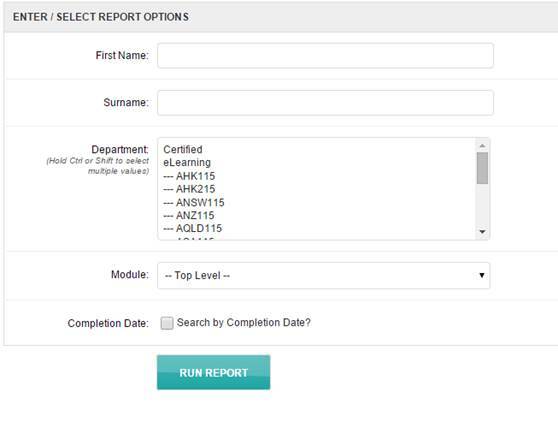 To view Student Activity Reports, go to the top of the screen and hover over the 'Marking & Reports' heading. Then click on the 'Student Activity' option. Once you have clicked on the 'Student Activity' option, you will then be taken to a page that looks like this. Here you are able to find reports on specific users using the search options. 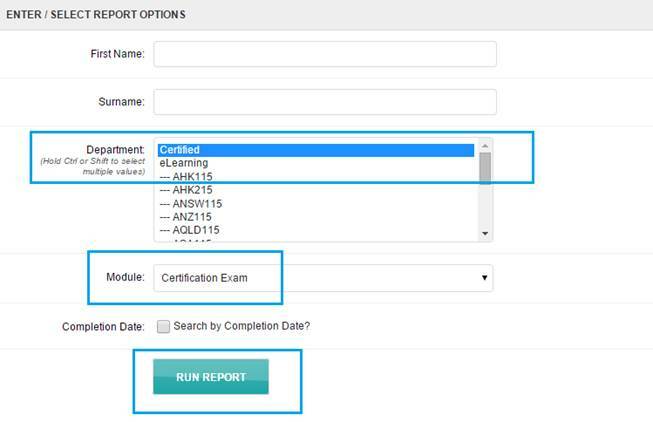 Once you have clicked 'Run Report', scroll down and view the users which fit the certain criteria you are searching for. Alternatively, if you are searching for a specific user and you know their name, Fill in the First name and Surname boxes in the 'Enter/ Select Report Options' field.